Party on drum corps fans! The 2009 Drum Corps International World Championship festivities won't stop when the corps step off the field next week in Indianapolis: DCI fans, alumni and supporters are invited to attend a series of exciting parties and get-togethers throughout the week hosted right in downtown Indianapolis within walking distance of Lucas Oil Stadium. Enjoy company from other DCI fans and alumni, great food and drink, and more at these exclusive drum corps events. View a complete list of World Championship Week events. When: Wednesday, Aug. 5, 9:30 p.m. to 2 a.m. Celebrate DCI's newest classes of Hall of Fame inductees and the start of the World Championships in Indianapolis at this official kickoff party on Wednesday, Aug. 5 at the Indiana Convention Center. Start the night off at 9:30 p.m. with a cocktail hour, take in the Hall of Fame Induction ceremony at 10:30 p.m., and stick around, enjoying hors d'oeuvres and a cash bar, until the party ends at 2 a.m. 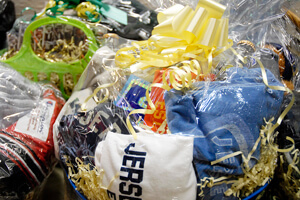 While you're there, put in a bid for any of several silent auction items that will benefit various Hall of Fame projects, and show off your drum corps trivia mastery to win marvelous corps-themed prize baskets. Admission is free and open to the entire drum corps community, and tables for 10 with up-graded hors d'oeuvres and gift bags are available for $250. 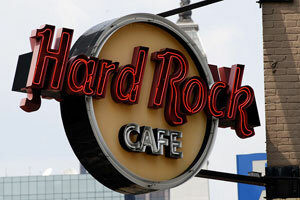 Following the World Championship Quarterfinals, DCI Super Fans can join the production crew, DCI staff and others at the world-renowned Hard Rock Caf?© to celebrate the very first "Big, Loud and Live" broadcast shot and produced entirely in high definition. Dodge the paparazzi and keep your eyes open on this red carpet, because as with any celebrity party, you never know who will show up! Learn more about how you can become a DCI Super Fan and take part in this exclusive party. 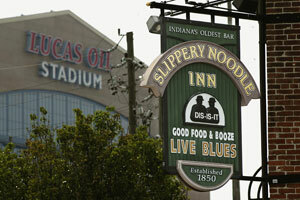 Where: Slippery Noodle Inn, 372 S. Meridian St.
After the World Class Semifinals and Finals on Friday and Saturday, August 7 and 8, head over to the Super Fan and Alumni Party Headquarters, the Slippery Noodle, for two more parties just a couple blocks away from Lucas Oil Stadium. Enjoy great food and drinks while celebrating the excitement of the 2009 World Championships with friends old and new.